Our R-12 Shrove Tuesday Pancake morning was an enormous success. This was a combined Junior Years and 2017 Prefect initiative to raise money for Edmund Rice Camps. Edmund Rice Camps provide holiday experiences for young people aged 7 - 16 years who would not otherwise be able to enjoy them. Many of the participants come from what could be considered as marginalised or disadvantaged backgrounds and wouldn't be in a position to afford such an experience; the money raised will contribute to making this experience a reality for a number of these young people. 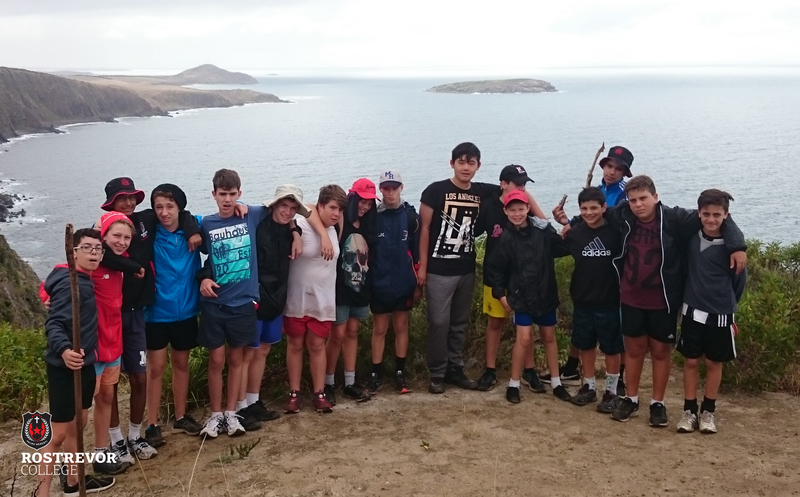 The Year 8 Camp serves a variety of purposes and was extremely successful. It is important in particular that new students be given the opportunity to mix with a significant cross-section of the year level and through the team-building activities, make new friendships outside of the classroom. The camp also provides an opportunity for the boys to work together to experience some physical challenges. These are all elements of an important 'Rite of Passage' into their secondary years. We have received constructive feedback from some parents and will endeavour to take this on board as we consider improvements to our Camps Program. At Rostrevor, we believe that it is important for young people to learn about themselves and others; healthy relationships and behaviours; social and emotional development; spiritual development; resilience, and to see beauty, have awe, and appreciate some sense of 'truths'. I would like to take this opportunity to thank you as parents for your support in our endeavour to provide opportunities for your sons to participate in activities which are based on the learnings listed above, for ensuring that your sons attend such events and that you accompany them when necessary. I would also like to express my gratitude to our wonderful staff who are always willing to support such events by supervising, participating, planning and organising activities and much, much more. This week saw us commence our journey towards Easter as we start the season of Lent. After a great celebration on Shrove Tuesday with pancakes which raised money for Edmund Rice camps, we celebrated Ash Wednesday and received the Ashes on our foreheads as a symbol that we wanted to repent and turn back to God. This was a whole school celebration. Lent comes from the earliest days of the church when people who wanted to become a Christian entered a period of intense preparation for the final forty days before they were baptised at Easter. In time this also became linked with Jesus spending forty days in the desert as He prepared for his ministry. God of all peoples and nations, you accompany us on our Lenten journey. Though the life and mission of your son, you gave us the gift of mercy and compassion with all your people. In a special way, we keep in mind our neighbours, the men, women and children around the world who are most vulnerable to extreme poverty and injustice. Bless our prayers, our fasting and our Lenten gifts to Project Compassion. Amen.